The Billingsley Company is developing The Offices of Cypress Waters, an expansive multi-building office complex as part of a 1,000-acre waterfront, mixed-use office, retail and multi-family community. 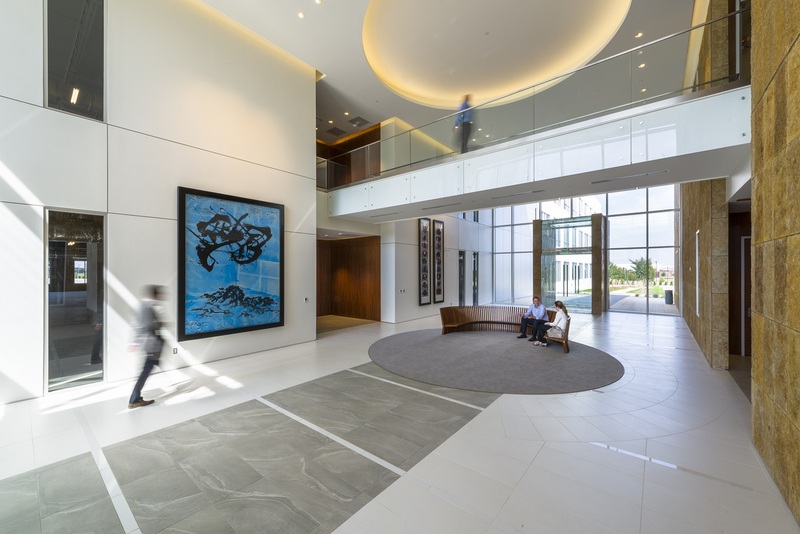 OMNIPLAN, working closely with the developer, designed three 3-story buildings, each offering more than 150,000 SF of office space. The site accommodates 1,300 parking spaces, 35% structured and covered. The idea for Cypress Waters is to create a true sense of place supported by a diversity of uses, by amenities and landscape, and by the overall organization of the site that promotes a pedestrian scale. Satisfying Billingsley’s aggressive design, construction and leasing schedule was one challenge that was overcome by OMNIPLAN’s approach on these 3-story tilt-up buildings. The design to market time frame is projected to be just over one year, which exceeds the client’s expectations.